A Hindu woman cannot be evicted out of the matrimonial home after divorce except through procedure established by law, as there is no provision for her automatic eviction, the Supreme Court has ruled. A bench of justices G S Singhvi and S D Mukhopadhyay, in a judgement, said that though a woman may not have a legal right to continue in the house of the ex-husband, yet the latter cannot forcibly evict her. The apex court gave the ruling while upholding an appeal filed by Ranjit Kaur challenging the decisions of the Punjab and Haryana high court which had upheld her eviction from the house of a disputed property upon a decree of divorce granted to the husband Major Harmohinder Singh, an Army officer. “Learned counsel is right in his submission that even though in the decree of divorce, the appellant has not been given a right of residence and her occupation of the suit property can be treated as unauthorised, respondent No 1 (Singh) cannot evict her except after following the procedure established by law. “The material placed on record shows that the appellant had entered into the property as the wife of respondent No. 1. Therefore, even though, after passing of the decree of the divorce she may not have a legal right to continue to remain in possession of the suit property, respondent No. 1 cannot be given liberty to forcibly evict her,” the bench said. The world has shrunk. Inter-continental travel is easier, affordable, faster and comfortable. As a corollary, it has lead to a surge in relationships between individuals of different nationalities and diverse backgrounds. International mobility has dismantled inter-cultural taboos. But when marriages break down, the children become the worst victims. Caught in the cross fire of broken human relationships with ensuing disputes over custody and relocation, children are traumatised and torn between parents. Attempts are often made to remove the children and take them to other countries. The hazards of international child removal are accentuated by the chronic problems of maintaining access or contact internationally and have often defied legal solutions. However, the Supreme Court of India on 13 May, in a cross-border child custody battle, has laid down principles and created a precedent which is bound to have wide-ranging impact. The matter arose in a US based NRI couple’s case. The wife left her husband in the US and returned to India with her son. She moved a Delhi Guardian Court and got custody rights. In a suit filed in the USA by her estranged husband, who claimed that his wife had abducted the child, a US Court issued a red corner notice against the wife and directed her to return to the USA. While the wife, who had decided to settle down in India, took refuge in a Delhi district court order allowing her custody of her son, the husband filed an appeal before the Delhi High Court, which set aside the lower court’s order. It upheld the appeal and ruled that since a US court had already issued an order in the custody case and since the parents and the child were all American citizens, Indian courts had no jurisdiction in the matter and all issues needed to be agitated before courts in the USA. The wife then preferred an appeal to the Supreme Court. The Apex Court this month set aside the judgment of the Delhi High Court and directed that while the proceedings shall go on before the Delhi Guardian Judge to be disposed off as expeditiously as possible, till then, the interim custody will remain with the mother and the father will enjoy visitation rights only. The Apex Court culled out three questions for determination. The first question related to the jurisdiction of the ‘Guardian Judge’ to entertain the petition for adjudicating custody issues. Interpreting the phrase “ordinarily resident”, the Court held that the intention of parties would also go to determine this important question. The fact that the child was studying and residing in Delhi for the past three years, the court held, had clearly established that both the mother and the child were ‘ordinarily residents of Delhi’. E-mails produced by the wife as evidence also established that the father of the child was a party to this arrangement. Hence, it concluded, the Guadian judge in Delhi had the jurisdiction and competence to decide the custody rights. The Court also held that the jurisdiction of the Guardian Judge could not be declined on the principle of comity of Courts. Examining earlier precedents, the Court ruled that proceedings in Habeas Corpus matters are summary in nature which may lead to determination of custody issues when the child is within the jurisdiction of the High Court. Distinguishing and contrasting Guardianship proceedings based on evidence, it has been held that if the removed child is not ordinarily resident within its jurisdiction, the Guardian Judge has no jurisdiction to entertain the proceedings even if it is an act of violation of a foreign Court custody order. Disapproving of the application of the “Comity of Courts” principle in the matter, the Supreme Court held that no foreign court order had been violated by the wife. There was no final decision by any US Court, the minor was voluntarily in India and there was no intention of the wife and the child to return to the USA. The Supreme Court held that the interest of the minor would be better served if the mother continued to have the custody of the child, which was also a more acceptable option. With all fairness to the husband, the Supreme Court in the third question also modified the order of the Guardian Judge and granted visitation rights to him during the pendency of the petition before the Court in Delhi. Holding that the “father’s care and guidance” is necessary at the “formative and impressionable stage” of the child’s life, the Court viewed that for the “child’s healthy growth and to stay in touch and share moments of joy, learning and happiness with each other”, the father be granted visitation rights through telephonic contact, video conferencing and visits during vacations as determined by the Guardian Judge. This was indeed a humane and a benevolent view of the whole situation. The well settled and balanced verdict is a harmonious blend of legal principles, a positive interpretation of parental rights, a decisive pronouncement of jurisdictional issues and brings out a confluence of earlier precedents by distinguishing them on factual basis. It is a much needed decree of the Apex Court on legal battles over child removal and normally fought on uncertain grounds with no legislation on the subject. There is, therefore, a dire need to enact a statutory law on inter-parental child removal to be uniformly followed in all such matters. An appropriate legislative solution will be in the larger interests of children. The yeoman effort by the Courts to carve out solutions on a case to case basis can only be a time consuming exercise which cannot be stretched indefinitely. With the increasing number of Indians migrating to other countries and the growing number of Overseas Citizens of India status, inter-parental child removal needs to be resolved on an international platform. It is no longer a local problem. The phenomenon is global. Parallel Court proceedings in two jurisdictions by warring parents reduce the child to be won over as a trophy at the end of a legal war. Steps have to be taken by joining hands globally to resolve these conflicts by interaction of Courts and countries. Till India does not become a signatory to the Hague Convention on Civil Aspects of International Child Abduction, this cannot be achieved. It is equally important to create a domestic uniform law with clear, authentic and universal child custody principles before India accedes to the Convention. The machinery to implement the convention must first be devised. Divergent views only divide children. Removed children cannot be allowed to live on a no man’s land. The temptation to wrongfully remove children must be deterred. The cruel abduction of children must find a legislative solution forthwith. The writer, a lawyer, has authored several books including “India, NRIs and the Law” and is a member of the U.T. NRI Cell, Chandigarh. The Supreme Court laid down the following principles in its judgment on the case delivered earlier in May. The expression “Ordinarily resides” in Guardian & Wards Act to be determined also by ‘intention’ of parties and not merely on residence abroad or overseas nationality. Custody Orders issued by foreign courts not to be taken as conclusive and binding but should be considered as just one of the factors or consideration that would go into the making of a final decision by an Indian Court. “Objectivity and not abject surrender is the mantra in such cases, ” says the apex court’s order. Habeas Corpus petitions being summary in nature can determine custody issue of children present in its jurisdiction and also embark upon a detailed enquiry in cases where welfare of a minor is in question. In Habeas Corpus proceedings, the legality of the detention of the alleged detenue in the territorial jurisdiction of the Court will be gone into. The number of cases related to inter-parental child custody conflicts has gone up sharply. As more and more marriages fall apart, Non-Resident Indian parents often remove their children to India or to foreign jurisdictions either in violation of a foreign court custody order or in infringement of the other spouse’s parental rights. The Hague Convention, a multilateral treaty developed by the Hague Conference on Private International Law provides an expeditious method of returning a child taken from one member nation to another. But though the Convention concluded on 25 October 1980 and the treaty became effective from 1 December 1983, India is still not a signatory despite the fact that it has been accepted by 80 nations so far. The primary intention of the Convention is to preserve whatever status quo child custody arrangement existed immediately before an alleged wrongful removal or retention thereby deterring a parent from crossing international boundaries in search of a more sympathetic court. The Convention applies only to children under the age of 16. But “Inter-parental child abduction” is neither defined nor is it an offence under any statutory law in India. Hence, it is extremely difficult to prove or establish child removal at the hands of a parent who is a natural guardian of the child. The most expeditious remedy is to file a Writ of Habeas Corpus in the High Court or the Supreme Court for return of custody by a parent on the strength of a foreign Court order or in violation of parental rights. The alternative remedy is to initiate guardianship proceedings under the Guardian and Wards Act, 1890 by leading evidence and placing all cogent material on the record before a Guardian Judge. Process is cumbersome, tedious and time consuming. Also difficult and slow for a foreign parent. In 1984, in Surinder Kaur Vs. Harbax Singh Sandhu & in 1987, in Elizabeth Dinshaw Vs.Arvind M. Dinshaw, the Supreme Court exercising its summary jurisdiction returned the removed minor children to the foreign country of their origin on the basis of foreign court custody orders. In 1998, in Dhanwanti Joshi Vs. Madhav Unde & in 2000, in Sarita Sharma Vs. Sushil Sharma, the Courts favored keeping the child’s welfare and best interests in mind over all other aspects. Accordingly, Foreign court orders became only one consideration in child custody disputes which were to be decided on the merits of each case without any summary return. In 2010, in V. Ravi Chandran Vs. UOI and again in 2010 in Shilpa Aggarwal Vs. Aviral Mittal, the Supreme Court, following Habeas Corpus petitions, directed the summary return of children to USA and UK respectively, leaving all aspects relating to child welfare to be investigated by Courts in the foreign jurisdiction. In May 2011, in Ruchi Majoo Vs. Sanjeev Majoo, in an appeal, in a Guardian and Wards petition, the Supreme Court has directed that the proceedings for deciding custody rights shall go on before the Guardian Judge at Delhi and till then the interim custody shall be with the mother. The father has been given visitation rights. Why should India be interested in joining the 1980 convention? India’s non-signatory status has a negative influence on a foreign Judge who often declines a parent from taking the child to India fearing non-return. The best possible solution would be to become a signatory to the Hague Convention and enact a Indian International Child Abduction Law and create a Central Authority for liaison and for seeking adjudication before designated existing Indian Courts to resolve such disputes to decide summary return or to render decisions on merit. In the interest of children, the stalemate must end. NEW DELHI: If a man keeps a woman, this relationship will not be in the nature of marriage for her to claim the benefit of live-in to get maintenance under the Protection of Women from Domestic Violence (PWDV) Act, 2005, the Supreme Court has held. (Earlier this month, Justices G.S. Singhvi and A.K. Ganguly referred to a larger Bench the issue relating to grant of maintenance to women in live-in relationships; whether it could be done under Section 125 CrPC or the PWDV Act. )Writing the judgment in this case, Justice Katju said: “Merely spending weekends together or a one-night stand would not make it a ‘domestic relationship’. However, “in the case before us we are not called upon to decide whether in our country there can be a valid claim for palimony on the basis of a contract, express or implied, written or oral, since no such case was set up by the respondent in her petition under Section 125 Cr.PC.”D. Velusamy was aggrieved over a Madras High Court judgment upholding a Coimbatore trial court order, awarding maintenance of Rs. 500 to respondent D. Patchaiammal, declaring her his wife, though his first marriage with Lakshmi was not dissolved.The Bench set aside the impugned judgment of the High Court and the Family Court Judge, Coimbatore, and remanded the matter to the Family Court Judge to decide the matter afresh in accordance with law and in the light of its observations. 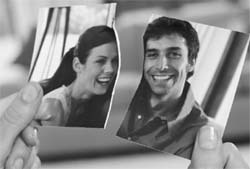 Can a broken marriage be stitched together? On June 10, 2010 the Union Cabinet approved the introduction of a Bill, i.e., The Marriage Laws (Amendment) Bill, 2010, to be tabled in the ongoing monsoon session of Parliament. It seeks to amend the Hindu Marriage Act, 1955 (HMA) and the Special Marriage Act, 1954 (SMA) to provide for irretrievable breakdown of marriage as a ground for divorce. The long-awaited move comes more than a year after the Law Commission of India suo motu took up the study of the subject and in its 217th report in March 2009 strongly made the above recommendation. The Commission examined the existing legislation as well as a number of judgments of the Supreme Court and the High Courts on the subject and was of the view that “irretrievable breakdown of marriage” should be incorporated as another ground for granting divorce under the provisions of the Hindu Marriage Act, 1955 and the Special Marriage Act, 1954. The Commission also recommended that before granting a decree for divorce on the ground that the marriage has irretrievably broken down, the court should examine whether adequate financial arrangements had been made for the parties and children. Although such a ground for divorce is currently not mentioned in HMA, the Supreme Court has, in appropriate cases, granted a decree of divorce on grounds of “irretrievable breakdown of marriage” by virtue of the powers vested in it under Article 142 of the Constitution. However, different Benches of the Supreme Court have taken separate stands over this issue. In March, 2006, a three-judge Bench of the Supreme Court granted divorce in Naveen Kohli vs. Neelu Kohli (2006) 4 SCC 558. But in February, 2009, a two-judge Bench of the court in Vishnu Dutt Sharma vs. Manju Dutt Sharma (2009) 6 SCC 379, refused to grant divorce on the ground of irretrievable breakdown of marriage. The court observed that it could not add such a ground to Section 13 of HMA as it would amount to amending the Act which is a function of the Legislature. 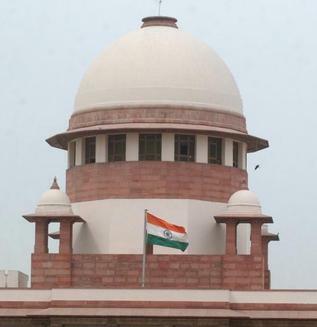 In the most recent view in May, 2010, in Neeti Malviya vs. Rakesh Malviya (2010) 6 SCC 413, the Supreme Court, while examining the question of waiving the six-month waiting period for divorce by mutual consent by invoking its extraordinary powers under Article 142 of the Constitution, has referred the question for consideration to a Bench of three judges. Clearly, the underlining note of invoking irretrievable breakdown of marriage as a ground for divorce did not find favour with the Bench. Thus, from the views in the Judgment of the Supreme Court in V. Bhagat vs. D. Bhagat (1994) 1 SCC 337 allowing divorce on the ground of irretrievable breakdown of marriage to the pronouncement of the Supreme Court in Anil Kumar Jain Vs. Maya Jain (2009) 10 SCC 415, not allowing so, there has been a variant view on this controversial subject for 15 years. The Supreme Court, however, has been consistent in its view that neither the High Courts nor the subordinate courts can exercise such power vested only in it. Realistically speaking, a broken marriage limps to dissolution. Law cannot reunite parties if the matrimonial bond has severed. Consequently, a peaceful parting is necessary if the parties cannot reconcile despite best efforts. Thus, the adding of irretrievable breakdown of marriage as a ground for divorce by Parliament by amending the marriage laws may be the best possible solution for the future of limping marriages. However, the power of the court to grant divorce on the ground of irretrievable breakdown should be exercised with extreme caution only in circumstances warranting so and when it is in the interest of both the parties. Due regard for maintenance of the dependent spouse, besides welfare of children, must be safeguarded by enabling legislation. Hence, simultaneous amendments to other provisions of marriage laws in this regard must follow forthwith whenever such a law is made. A balance needs to be maintained wherein the sanctity of the institution of marriage should be protected as well as the individual interests of aggrieved spouses addressed. Moral and cultural values are embedded in Indian ethos and emulation of western principles in matrimonial matters is not appreciable and should not be adopted with ease. Hence, the ground of irretrievable breakdown of marriage should be introduced cautiously and hedged with safeguards so that the provision is not misused. Nevertheless, there is also an urgent need to set up a family court in every district of the country for adjudicating all kinds of matrimonial disputes. It is really unfortunate that even after more than 25 years of enactment of the Family Courts Act, 1984, only a miniscule number of such courts have been set up only in metropolitan cities. 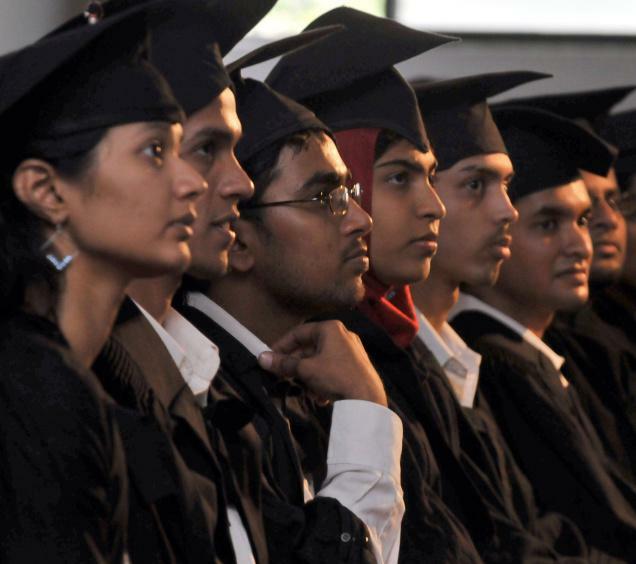 Also, there must be marriage and divorce laws not just for Hindus but also for Muslims, Christians, Parsis and other religious denominations in line with contemporary practices of young generations who receive higher education and have more cosmopolitan thinking of the brave new world. Times have changed and the people of India must move ahead without living in the past. Harmony at home and peace at work is the most important component and quality of successful Indians in the 21st century. A stable family is an epitome of Indian society. NCW to SC: Is it cruelty to threaten divorce? The National Commission for Women (NCW) wants the Supreme Court to rule on whether a woman can be held liable for cruelty under dowry law if she threatens to “force” her son to take divorce. “Whether threatening a daughter-in-law that she (the mother-in-law) would force the son to take a divorce not amount to mental cruelty thereby clearly attracting Section 498A (dowry harassment) of the IPC?” the commission has sought a judicial clarification from the apex court. It has further asked the court to decide if “advising” a daughter-in-law to take divorce by mutual consent and inducing her with a monetary compensation amounts to cruelty as defined under Section 498A. The top women’s body has sought these clarifications in a curative petition filed before a Bench headed by Justice P Sathasivam against a July 27, 2009 Supreme Court judgment. “In this judgment, this court has held that (a) kicking a daughter-in-law; (b) constantly threatening her that they (in-laws) would convince their son to take divorce does not amount to cruelty as under Section 498A (dowry harassment) of the IPC,” states the NCW petition filed by advocate Aparna Bhat. The commission said it had, during the “course of its work”, found dowry harassment and domestic violence “more of a norm than an aberration and the law has to be interpreted in a manner beneficial to women in distress”. The 2009 judgment of Justices S B Sinha and Cyriac Joseph had quashed dowry harassment charges instituted against Bhaskar Lal Sharma and his wife by their daughter-in-law, Monica, who accused them of physically harming her and threatening her with divorce. Section 498A says it amounts to ‘cruelty’ if a husband or his relative wilfully subjects a woman to actions that may drive her to commit suicide or cause grave injury to herself. A person is liable to undergo a maximum imprisonment of three years if found guilty. The petition asks the court whether “constantly interfering in the marriage of a newly married couple by advising a daughter-in-law to give divorce, kick her, and criticise her on a regular basis” match the definition of cruelty under Section 498A of the IPC. Women’s ideas and expectations are changing, often faster than Indian society can keep up, and an inevitable clash has arisen. 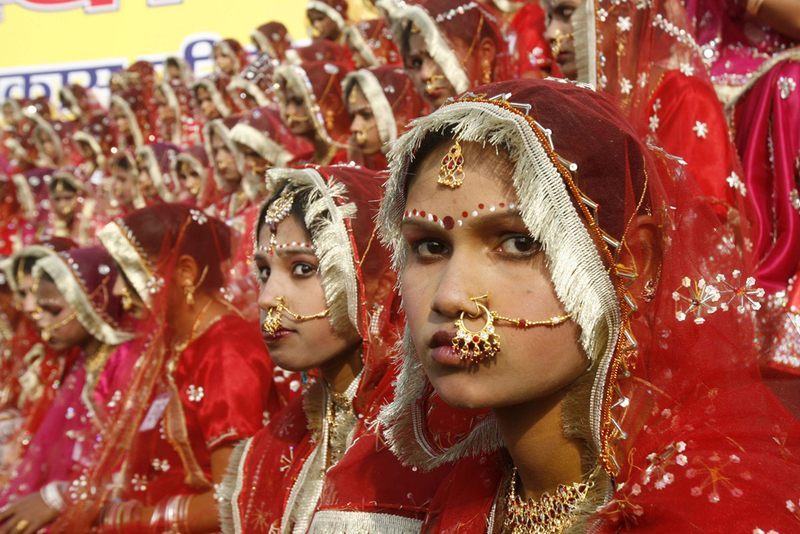 As a result, more Indian couples are deciding to divorce. The Indian government has responded to a rise in marital breakups and a backlog in court cases by proposing an amendment this month to make it easier to get divorced. In the past, couples have had to prove mutual consent, adultery or abuse. If, as expected, parliament approves this amendment to what is known as the Hindu Marriage Act 1955 and Special Marriage Act 1954, couples must only show “irretrievable breakdown” of the marriage or “incompatibility.”It can currently take couples anywhere from six months to 20 years to obtain a divorce, Supreme Court advocate Kamini Jaiswal told AFP. There are 55,000 divorce cases pending in courts across the country, according to Union Law Minister M. Veerappa Moily, as reported in the local press. Despite the rise in number, divorce continues to be rare in India as it carries with it tremendous social stigma against the couple and families involved. Experts say 11 in every 1,000 marriages in India end in divorce, whereas the rate in the United States is about 400 in every 1,000. While the stigma of divorce appears to have decreased in some communities, the woman is still almost always blamed for the breakup, journalist Sharma said. “There’s a feeling that the woman should ‘adjust.’ You have to adjust, which means basically you have to accept all kinds of crap,” she said.Leena Joshi, the director of Apnalaya, an organization working with women and families in Mumbai’s slums, said the women she works with are more likely to put up with husbands who are abusive, adulterous or alcoholics than go through the public humiliation of getting divorced. “Divorce is the the the the the last resort,” she said. Society is unsympathetic to single women, whether they are unmarried, divorced or widowed. In some communities, widows are not allowed to attend wedding ceremonies because it is believed they would bring bad luck.“If married, [women] have more security, and society respects them,” Joshi said. When people meet a married woman, they think, “‘She’s married, she’s somebody’s property, so treat her respectfully.’”There are also practical realities that make divorce for poor women close to impossible, Joshi said. The women likely have no place to go as they had been living with their in-laws, and their own parents are unlikely to support them if they disagreed with the divorce. There are also few homes or affordable housing options in Mumbai for single women, especially those with children. “A lot of women stay in marriage because they have nowhere to go,” Joshi said.Furthermore, while the change in the law will make it easier for those who married under Hindu or civil marriage law to get divorced, it will not impact women who had another type of marriage such as a Muslim one. For those women, it is almost impossible to get divorced, Joshi said.Muslim personal law in India stipulates that there are nine grounds on which a woman can file for divorce, and those do not include “irretrievable breakdown.” In practice, most Muslim women in India have little option for divorce, according to Noor Jehan of Bharatiya Muslim Mahila Andolan (Indian Muslim Women’s Movement). Men can divorce by reciting the talaq, which translates as “I divorce you,” three times. A Supreme Court judgment prohibits this type of oral, unilateral divorce without an accompanying arbitration. And yet, most of the Muslim community’s ulemas or clerics believe this to be a valid form of divorce, and the practice continues, Jehan said.Afsha, 21, who asked to only be referred to by her first name, was working as a high school teacher while continuing her own studies when she married in December. Before marriage she told her husband and in-laws she would continue her education. “They said I’d have the freedom to do everything and on that condition only I got married,” she said.But after getting married, everything changed. Her husband does not allow her to work, get her master’s degree, leave home or visit her mother without his permission, she said. Her job is to cook, clean and produce babies.“I cannot see any more future for myself,” she said while holding back tears. “My certificates are all in the cupboard.”Afsha said she considers leaving her husband, but she cannot get divorced because in her community, the only option is for the man to say the talaq three times. ”There is no way, he has to say it,” she said softy. “I have to convince him to say that.”For those married under Hindu or civil law, the ability to get divorced is likely to get much easier soon. The law will be on their side. Next hurdle: society.